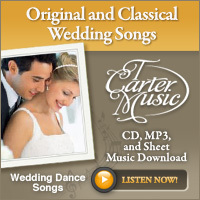 Founded in 2007, T Carter Music (www.tcartermusic.com) is a wedding industry leader, providing new and original wedding music for brides and grooms to be. This one is the perfect music for the Mother-Son dance. To Check out more music CLICK HERE.